Nike’s famous slogan is “Just Do It.” Meet Ray Hedger, a master at fabricating, and whose work many people feel is legendary. 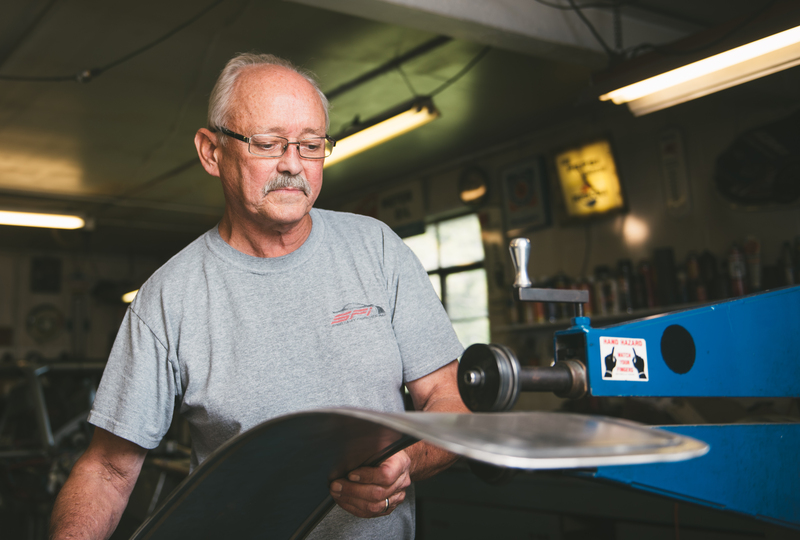 When I asked about the skills to perform the highly specialized work as a fabricator, I was told, “I just started doing it.” In other words…the skills are all self-taught. To see some of the projects built — and still being built — is absolute wonder. It’s always fascinating how people, when they put their mind to it, can perform something without any formal training or education. Ray’s self taught skills are a perfect example of someone performing at a very high level by just doing it. After exchanging initial pleasantries, and with a smile, Ray said “I can’t get out. I just can’t stop it, as much as I try. I’m trying to shut it down, but stuff keeps dribbling in.” The demand for his work is so high, that he can’t keep up and can’t get out. 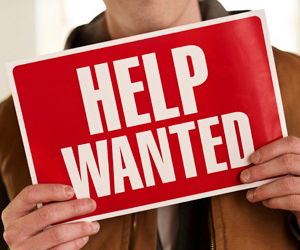 In his late sixties, Ray would like to slow down some, but his reputation for quality work makes that very difficult. It’s not just Ray, his younger brother was a racer. His older brother helped quite a bit with building cars and is still involved with cars at the Saratoga Auto Museum. It really became a family affair with racing and cars in general. Ray’s shop is out in the country side, not too far from Morrisville. 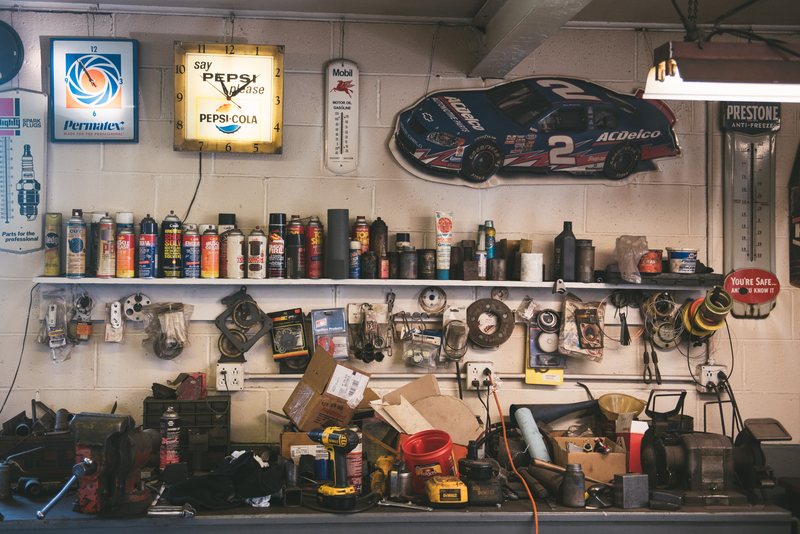 It’s a relatively small shop, with just a few bays`, and is located a couple hundred feet from his house. The shop is really a point of pride for Ray, even though it’s not too fancy. There are many photos hanging on the walls, all with special memories. It was fascinating to hear the stories behind some of them. He built a “new” 1969 Modified race car for a 50th anniversary celebration of a local race track for a buddy, Scott Gall. That was back in 2011 and it was used to bring attention to the event. Now the car is on display in Weedsport at the Dirt Museum and Hall of Fame. It’s a beautiful car and Ray has a framed photo of it on the wall of his shop. There are many basic tools inside the shop, like an English wheel which is a metalworking tool that can form curves to sheet steel or aluminum. Changing the wheels out enables different curves and shapes to be made. It’s really as much as creating art work, as it is a craftsman doing work. 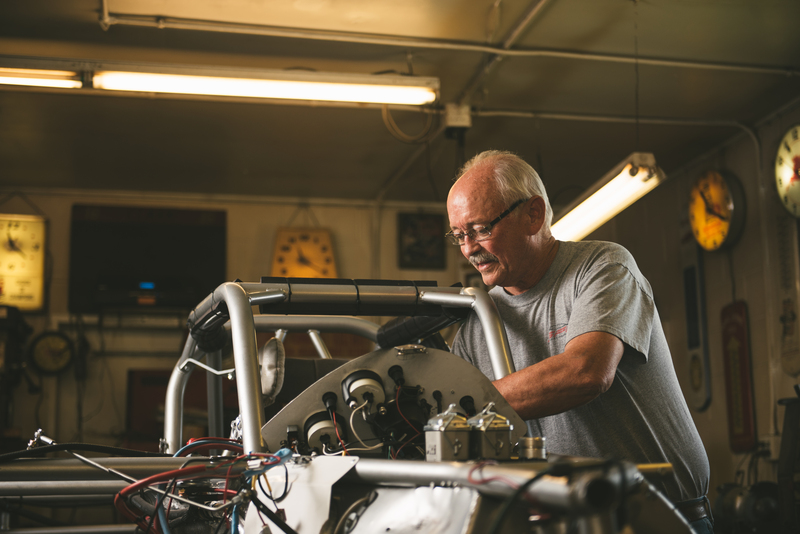 “When I tell people the weight [percent] on the rear wheels…they just laugh at me, ‘just no way’ and walk away.” That’s how Ray described the reaction of fellow builders and racers when he tells them about the 44% rear weight distribution on his cars. Typically, cars in that division run a rear weight distribution of 50-51%. Having the lower percentage on the rear wheels creates more grip on the front wheels, allowing for faster speeds in the corners. The cars just turn better. Ray explained that it’s all in the finer details of the geometry — all of which are in his head — and he get results. His driver, Russ Brown, has five track championships at Oswego Speedway. Brown won the very first championship in 1992; and then three more in 2005, 2006 and 2007; and one more time in 2013. 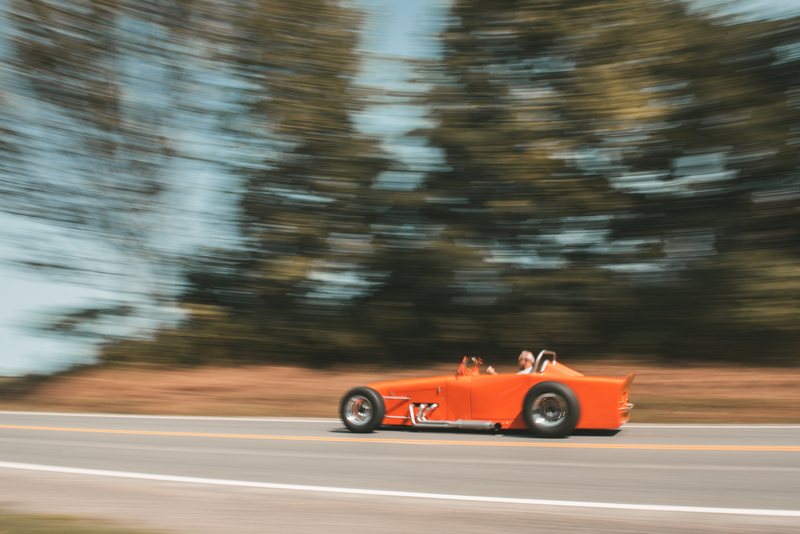 Oh yeah, Brown also holds the fastest lap record… “an astounding 18.504 sec” in a car Ray built. For those that may not be familiar, the Small Block Supermodified cars are a somewhat unusual design. The engine (355 cu in) is offset to the right of center and the driver’s seat is offset to the left of center. The weight bias means the cars can fly through the corners at high speeds. From a fans point of view, it is an exciting form of racing and Oswego Speedway is the place in New York to go see them race. Ray also owns a Mod-Lite race car driven by an up-and-coming young driver, Casey Sykes. He is a talented driver who won for the first time at Brewerton Speedway this past season. Ray is impressed with his driving skills, as well as his mechanical aptitude. Casey, a student at Morrisville College, helps out at the shop, so Ray has had a first-hand opportunity to see his many talents. The Mod-Lite cars are powered by a 1000 cc motorcycle engine and can go upwards of 90 mph at Brewerton Speedway. They are a scaled down version of the full-sized Modified cars and a lot of fun to watch (and listen to) in action. Ray’s skills go beyond just building race cars. 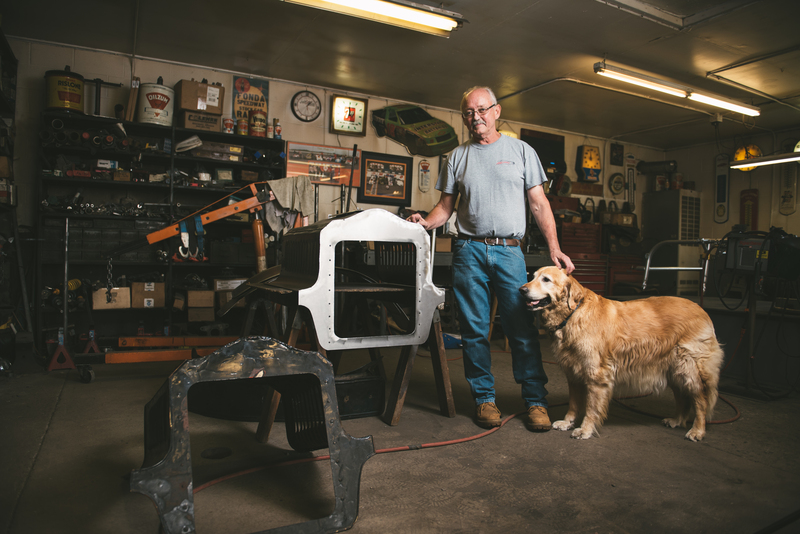 In the shop, he showed me a 1905 Ford hood and fenders that he fabricated from scratch. Based on an old damaged hood, he was able to reverse engineer the exact dimensions and build a brand new one. The range and variety of projects that Ray has worked on is limitless. 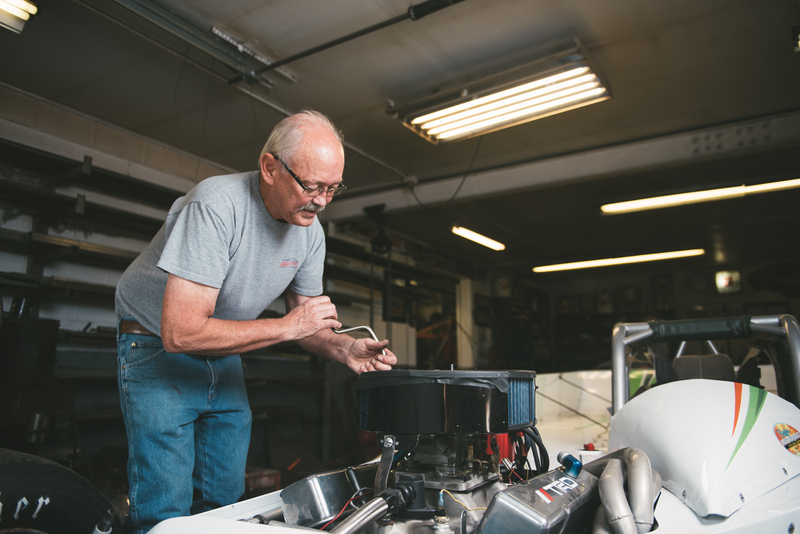 He worked for Jeffrey’s Auto Body, in Syracuse, to help build street legal NASCAR cars. The work required extensive engineering and fabrication work. Creating doors that can open and close (NASCAR drivers go through the window opening) was especially challenging. 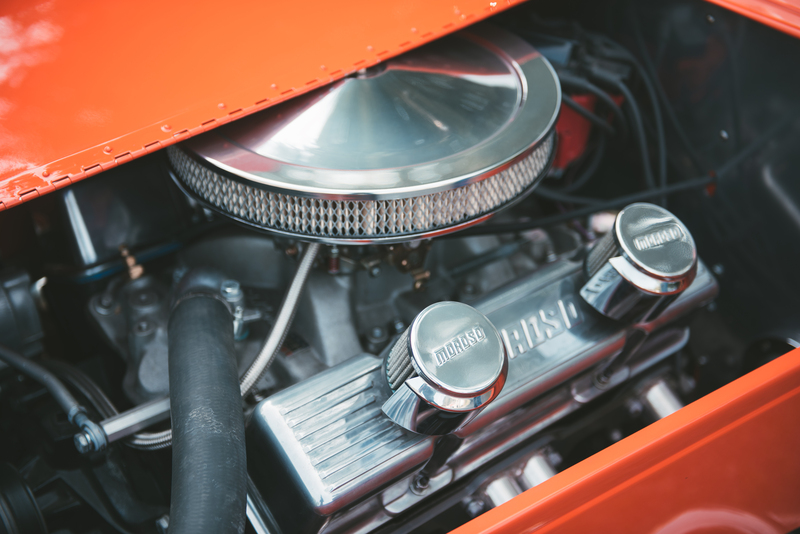 For a 1930 Packard Roadster, he built the side golf club storage compartment which was part of the original design. 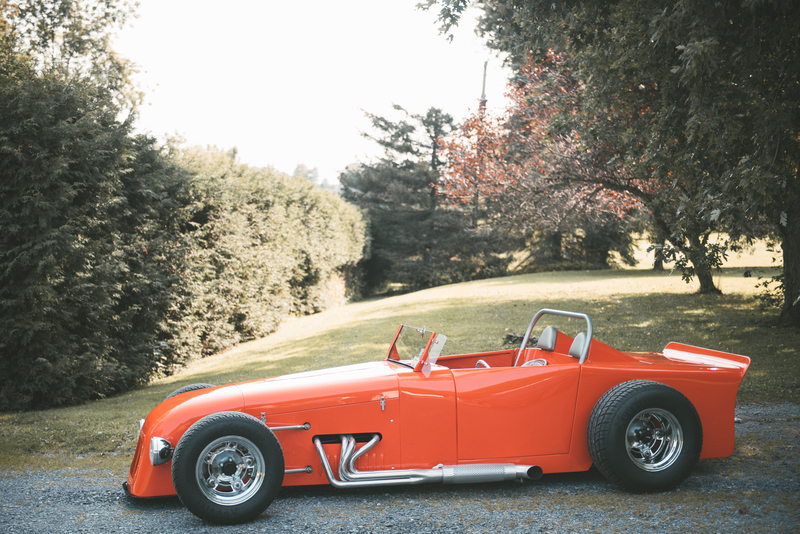 That car was featured in Apex Magazine last spring and is on display at the Northeast Classic Car Museum in Norwich. The car is absolutely beautiful and to have the opportunity to work on it speaks volumes. 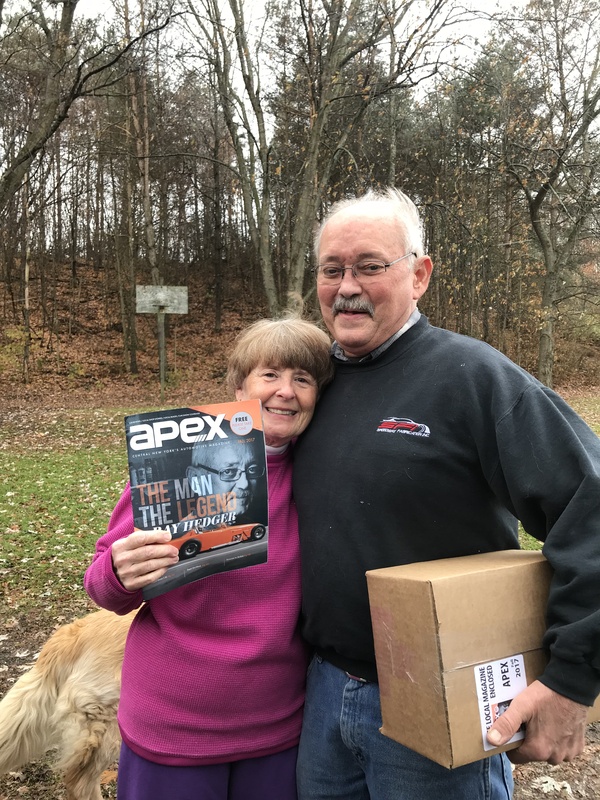 I know we have said this before, but the team here at Apex Magazine is always amazed at the breadth of talented folks that are associated with the automotive business in upstate New York. 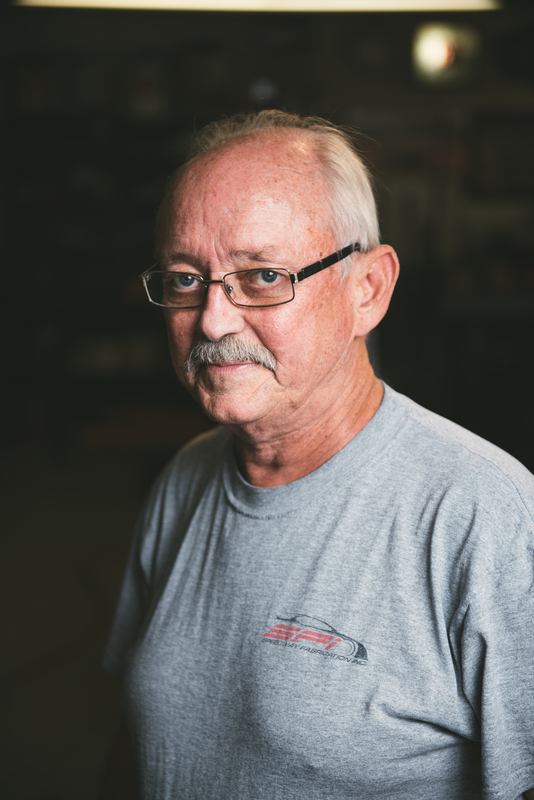 Whether it’s the builders, technicians, owners, car clubs, suppliers, museums, race car drivers —or fabricators like Ray — it’s all right here! Ray’s wife had tears in her eyes when seeing the cover of the Fall Issue. Apex is all about making people happy! I am honored to know Ray Hedger! Awesome man! I have cheered on drivers of his cars, admired his street smart engineering knowledge and competed against his racers. His reputation in race circles is second to none. Kudos Ray, my loss for our paths not crossing more often. I nominated him 3 times for stock car magazine racer of the year!!!! NASA NE HPDE for all levels of driver, from novice to advanced. Drivers can choose to drive one day or two. All novice drivers are assigned an Instructor. 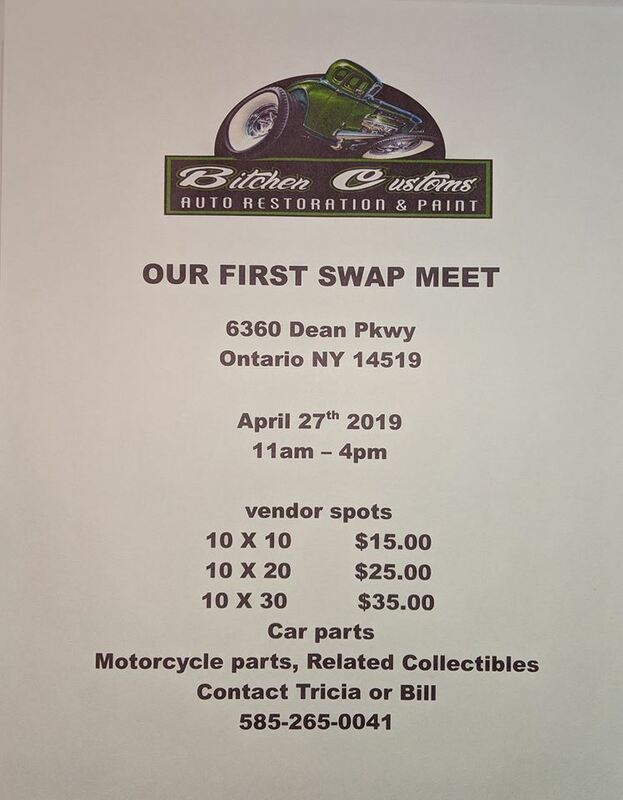 9:00 am BC4W Spring Play Day 2019 @ Back Country 4 Wheelers Inc.
BC4W Spring Play Day 2019 @ Back Country 4 Wheelers Inc.
Come join us for our Annual spring play day, admission is $10 a person 12 and under free. Open Wheeling for 4x4s of all kinds and sxs vehicles. Please no ATVs. Come play on our trails, rocks, mud, and log pits. There is something for everyone! 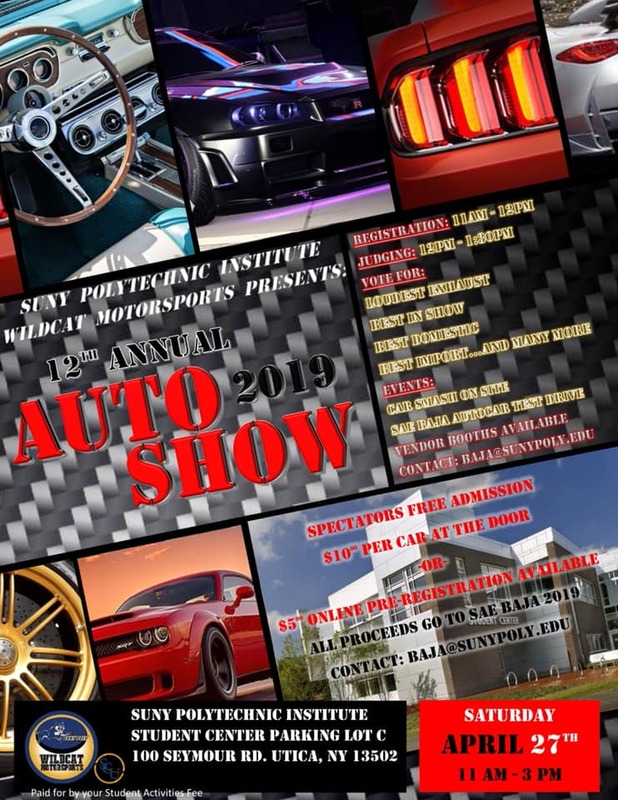 We invite you to join us for our 12th Annual Auto Show on April 27th at 10am. -2pm. (registration begins at 9 am.) with a rain date of April 28th. 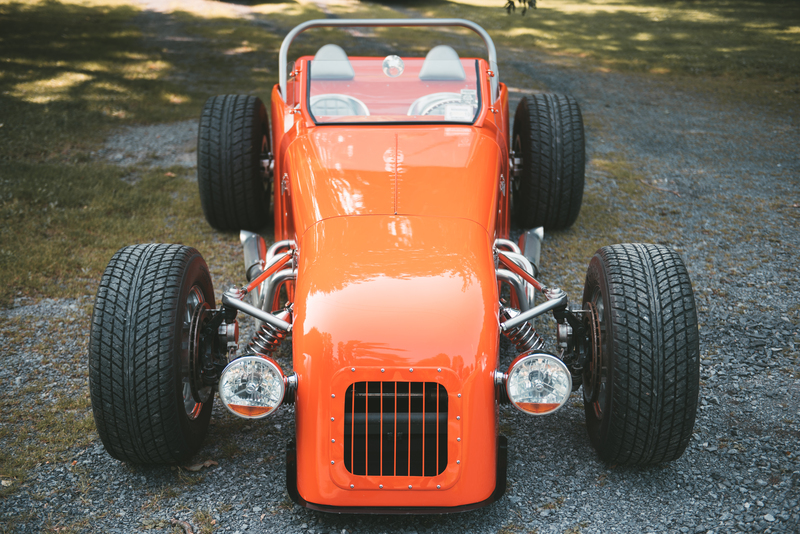 We welcome classic, hot-rod, rat-rod, and new cars, trucks, and motorcycles to our show. It is $10 to register a vehicle and $2 each for..
We will be hosting our annual car show April 27th in the student center parking lot. Come by and compete in different categories! Admission is $10 per car. Real world. Hands on. When your teen driver attends a Street Survival school, we teach them to control your car in unpredictable situations based on its handling limits. They master the application of driving physics using their car. They learn how to make good driving decisions and react more quickly. They become more aware and..